Pjur AQUA moisturizes and is never sticky. It is free of petroleum, oils, and perfumes, making it extremely gentle to your skin and mucus membranes. 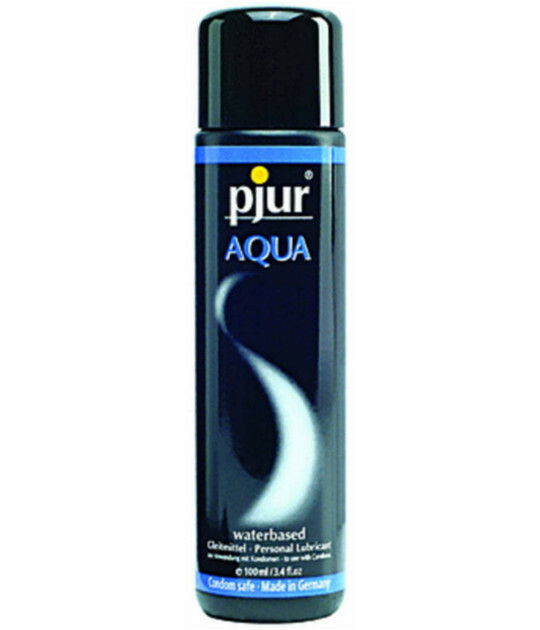 pjur AQUA's ultra soft and long-lasting formula nourishes and protects dry, damaged skin. As a CE-certified medical product, it is safe and recommended for daily use. The quality speaks for itself. The Excellent rating given by Stiftung Warentest , an independent German consumer and product testing organization, affirms the outstanding mucus membrane tolerance and microbiological quality of pjur. Its gentle and high-grade formula is fully absorbed by the skin, leaving an exquisite silky feeling. Frequent Lover members earn 23 loyalty points on this product!